WE BELIEVE IN CAPTURING BEAUTIFUL WEDDING PHOTOGRAPHY THAT WILL ALWAYS LOOK VIBRANT AND FRESH. All packages include full photographic coverage of the day from bridal preparations in the morning until 4-5 songs after the first dance. This package includes a bespoke USB pen drive containing your full resolution, professionally edited images in a selection of black & white and colour. Your USB drive will be presented in a handcrafted wooden slide box. Your photos will also be uploaded to your own password protected smart gallery packed with amazing new features such as social media sharing, print ordering and favourite lists. 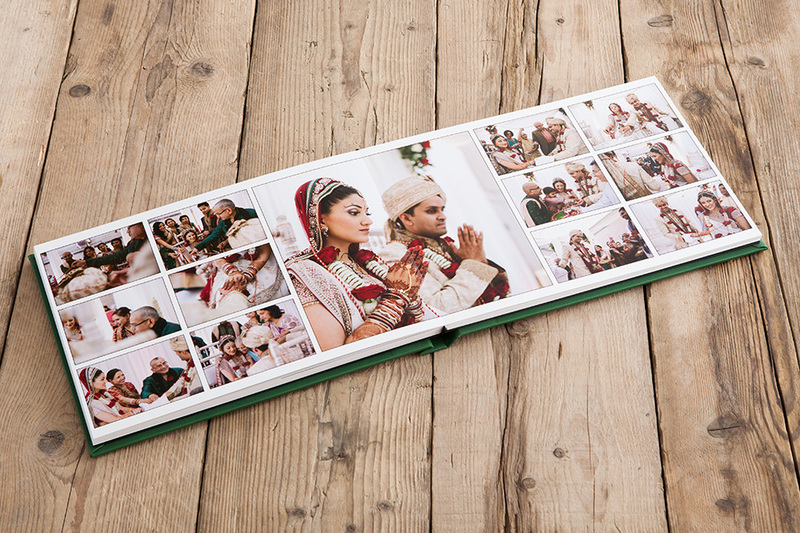 This package incorporates the Digital Photo Package and a beautiful 14”x10” storybook album crafted from the finest materials. This package includes a professional album design service so your album truly compliments your style. A wide variety of cover options are available. This package is tailored with parents in mind. In addition to package one and two you will also receive two parent albums; these are scaled down replicas of your own storybook album made of the same premium materials. All packages include travel costs across Northern Ireland and neighbouring counties of Southern Ireland.